Aaaahhh… Your very own backyard oasis. Fun in the sun with your family and friends. Sounds great, doesn’t it? You bet it does. Well, first of all, a little research. And that’s exactly what we’ve done. We’ve put together some valuable information designed to help you make the decision as to what might be the best pool for you and your family. 1.PRICE … or … What’s it actually going to cost me, including decking, landscaping and options? 2.MAINTENANCE REQUIREMENTS … or … How much work do I have to do to keep it clean, and what types and quantities of chemicals do I need to buy? 3.INSTALLATION … or … How soon can I really go swimming? 4.SERVICE … or … Do you take care of what you sell? So if you’re ready to take the plunge, read on. And just imagine coming home to your very own vacation hideaway – right in your own back yard! Above-ground pools are typically the least expensive types you can purchase. They are the summer-fun answer for those who don’t want to make the larger commitment of an in-ground pool. If you’re ready for a ton of backyard fun, but aren’t quite ready for a permanent structure in your yard, then an above-ground may be the way to go. •Inexpensive: Above-grounds are great for those looking for a relatively inexpensive way to provide years of backyard family entertainment. 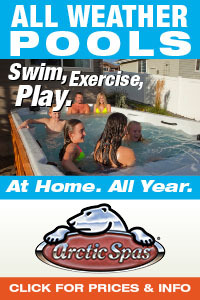 •Moveable: If you move, you can take your pool with you, give it to a friend or even sell it. Or you can leave it as a benefit for the next owner of your home. •Quick to install: Grab a couple of handy neighbors and you can be hosting a pool party in just a couple of days. •Choices: You can choose from aluminum, resin or steel sidings. All three types have various benefits, ranging from rust-resistance to average life-span. Your local dealer can help you weigh the pros and cons of each type. •Variety: Above-grounds come in several sizes and shapes, and a variety of decorative wall patterns and decking options. •Good for Small Lots: If getting a back-hoe into your yard would be next-to-impossible, an above-ground can generally be carried in a kit to your yard and set up. In-ground pools typically come in three varieties: concrete (with various finishes); vinyl-liner; and fiberglass. In-ground pools are more expensive than above-ground, but they are also a permanent home improvement. They add aesthetic, as well as intrinsic, value to your home. And when it comes time to sell your house, an inground pool is generally more appealing to potential buyers. Ingrounds range from play pools with depths of 3-to-5 feet to diving pools with deeper depths appropriate for the divers in your family. Before you purchase an inground pool, you need to think about how your family will use it. Do they like to play a lot of water sports? Then maybe a play pool with sports set-ups is the answer. Do they like to swim laps? Perhaps a rectangular design is best for you. 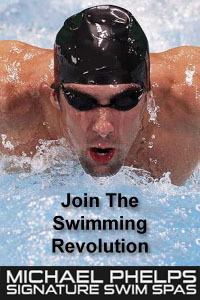 Or do you have a combination of swimmers and splashers? How about an L-shaped pool so everyone is happy? Thinking about usage and then designing with those needs in mind is the key to building a pool that your entire family will be happy with for years to come. Okay, let’s assume you’ve decided how your family will use the pool and what your approximate budget is. Now, let’s talk about your primary options in an inground pool. A fiberglass pool is factory-manufactured and then installed in one piece in your back yard when your excavation is completed. Basically, a fiberglass pool resembles a giant bathtub. 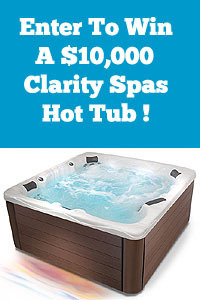 •Price: Fiberglass pools are generally more expensive to purchase than concrete inground pools, but can save you money over the life of the pool. This is because they typically will require fewer chemicals than concrete pools. You also avoid future replastering and liner replacement costs. •Maintenance: Unlike a plaster finish, a fiberglass shell does not change the chemistry of the water, so you often will use less acid. Because of the non-porous surface, you don’t need to brush the pool nearly as often as a plaster-finished concrete pool. However, you typically do not need to brush a pebble-finish concrete pool as often as a plaster-finish pool, so when discussing this option with a dealer, be sure you are comparing apples to apples. 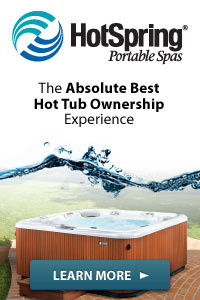 •Installation: Once your yard has been excavated, the pool is delivered in one piece and installed. Construction time is generally about two weeks. •Shock absorbent: What happens if the earth moves? Fiberglass has a shock-absorbing ability that allows it to flex up to 2 feet. However, there also are new concrete construction techniques that allow concrete to flex. So, it’s important to remember that if you live in an earthquake-prone area, be sure to have your dealer explain the features and benefits of fiberglass and concrete construction. A concrete pool is custom-built to your specifications by the pool-builder you choose. It is the most common type of in-ground pool, and the initial installation generally costs less than a fiberglass pool. Concrete pools are constructed in stages, including pool layout and excavation; steel installation; plumbing installation; equipment set; gunnite or shotcrete application; tile and coping installation; and interior finish installation. Although they take longer than fiberglass pools to construct, they have the advantage of virtually unlimited shapes, sizes and designs. The construction time on a concrete pool is generally three to 12 weeks. •Price: The initial installation of a concrete pool is generally less than a fiberglass inground pool. So, if you want an in-ground, but the total up-front outlay is of concern to you, a concrete pool might best fit your needs. •Variety of Finishes: A variety of interior finishes is available, including plaster, paint or pebbles. These provide you with several options to best suit your budget and desired design. •Weather Resistant: Some industry specialists believe that concrete pools are well-suited to parts of the country that have extremely high summer-time temperatures. Concrete also is perceived by some to function better in areas where the soil is very expansive. •Strength: Both fiberglass and concrete are materials of great strength. Talk to your dealer or builder about the implications of your soil type and weather on both types of materials. A vinyl-liner pool is furnished to the installer in kit form. After excavation, the panel walls are bolted or fastened together and supported at the bottom by a concrete footing. The vinyl liner is spread over the interior of the pool and covers the excavated floor and paneled walls. It is connected to the top of the panel walls by a vinyl rib at the outside edge of the liner. Be sure to ask your liners generally have to be replaced in your area of the country. Construction time for vinyl-liner pools is typically one to three weeks. 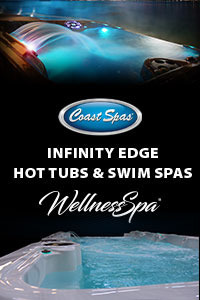 •Weather: Vinyl-liner pools are popular in cold-weather areas of the country. These pools can be easily winterized by draining them down and covering them until the spring. •Smooth Surface: The vinyl liner is smooth and nonporous, making stain removal easy if stains are treated promptly. •Covers: A pool cover can be a wonderful addition to your pool and/or spa area, and one of their main benefits can be increased safety. Covers come in many varieties and can extend the swimming season of your pool by several weeks by retaining the solar heat that is generated each day. Also, if you live in a highly wooded area, they can be used to keep leaves and other debris out of your pool. Many covers come in automatic or manual versions. •Heaters: Pool heaters come in many shapes and sizes. In milder climes, you can enjoy year-round swimming by adding a heater to your pool set-up. •Filters: There also are many types of pool filters designed to meet the particular needs of your pool. Your dealer or builder can help you choose the one right for you. •Cleaners and Water Levelers: From automatic inground cleaning systems that you just “set and forget” to jazzy, high-tech pool vacs that literally climb your pool walls, there are a variety of systems available to help you keep your pool sparkling clean. If you’re the type who likes to splash and dash, you’ll certainly be interested in learning more about automatic water levelers that keep the water level in your pool at just the right setting. Always wanted an oasis-like lagoon in your back yard? Or perhaps an elegant, serene setting is more to your liking. The use of water features and other design enhancements is a perfect way to integrate your pool into your overall design concept. Water features run the gamut from simple fountains that provide a relaxing environment to intimate, cave-like waterfalls. Rolled bond beam is an oh-so-cool, tuck-and-roll method of edging that allows concrete to be ribboned around your pool to soften the perimeter and give the pool a tropical effect. And for that “how’d they do that?” result, sophisticated negative edges are a state-of-the-art way to incorporate the view beyond the horizon right into your own back yard. Finally, for a truly dramatic look, fiber optic lighting can be installed using multi-hued color wheels. When the neon-like lights are turned on, you’re guaranteed to add drop-dead drama to the nighttime look of your pool. And you can even integrate the lighting into your landscape design for just that much more of a dazzling effect. So, as you can see, there are nearly as many choices and options for your pool as there are as many types and styles. So take a deep breath and dive right in – you’ll be glad you did! •What’s their percentage of on-time installations? •How do they resolve complaints? •What percentage of their work is done by in-house crews vs. sub-contractors? •How long have their crews been working for them? •What kind of crew turnover do they have? •What kind of financing options (if any) do they provide? •What kind of warranty do they provide and what does it cover? •And of course, ask for references.